In this tutorial ,we will discuss following features of one of the very commonly and vastly used collection ArrayList. 2.What is the capacity of ArrayList. 3. How ArrayList capacity grows dynamically. 4. What is difference between capacity and size of ArrayList. 5. Ordered nature of ArrayList. 6. Duplicate values are allowed in ArrayList. 7. Null values are allowed in ArrayList. Arraylist is one of the collection provided by Collection framework of Java represented by java.util.ArrayList. We can think of ArrayList as dynamically growing array. Which shows that once we have created/instantiated an array of particular size,we can add maximum number of elements equal to the defined size of array only and not more than that. But this is not the case with ArrayList.You can instantiate an ArrayList as below and still can add n number of elements in it. When we instantiate an ArrayList,it is instantiated with initial capacity of 10,which means an array of size 10 is created to store 10 elements initially or in other words memory for 10 elements is allocated. * Constructs an empty list with the specified initial capacity. It will call Constructor 2,which will call constructor 1 with parameter 10. In the first constructor below line is actually instantiating an array elementData of size 10. * The capacity of the ArrayList is the length of this array buffer. Above line will call constructor 1 and will instantiate an array with size of 30. Actually ArrayList can contain any number of items as long there is enough memory for it and when doing large initial insertions we can tell ArrayList to allocate a larger memory space to begin with to avoid wasting CPU cycles when it tries to allocate more space for the next item. How ArrayList capacity grows dynamically ? Let us see how capacity increased from 10 to 15. Below is the source code of add method which gets executed on call to add method.As you can see from within add method call is made to ensureCapacityInternal method with parameter "size+1".Here size is the size of the list i.e number of elements actually contained in the list.so when we added 11th element in the list ,parameter passed to ensureCapacityInternal will be 11(10 +1). so minCapacity - elementData.length = 11-10 =1 which is greater than zero,hence condition will be true on addition of 11th element and grow method will be called. newCapacity - minCapacity = 15-11 =4 which is not less than zero hence next line inside if statement will not be called. newCapacity - MAX_ARRAY_SIZE = 15 - 2147483639 = -2147483624,which is not greater than zero,hence next line within If statement will not be executed. Next control will reach on below line and this line will create new Array object with capacity 15 using static copyOf method of Arrays class.It will copy the elements of old array to this new array and elementData will start referring to this new Array.Hence there is increase in capacity from 10 to 15 now. Note : Differenr JDK implementations can have different logic the way capacity increases.I am using open JDK 7 implementation here. So we understood from above discussion that how capacity of ArrayList increases.One thing we need to understand here also is difference between capacity and size of Arraylist,which is described as below. As we discussed above,ArrayList is actually backed by an array ,i.e. elements of ArrayList are actually stored in array.The capacity of ArrayList is the size of this array which stores elements of ArrayList.The capacity of ArrayList at any time will be at least equal to the size of the ArrayList,which in other words means that capacity of ArrayList can never ever be less than size of the ArrayList.This is due to the reason that whenever it's size reaches maxmimum capacity,capacity is increased by 0.5*old Capacity. Size of arrayList is the actual number of elements contained within an ArrayList. Lets see capacity and size of ArrayList as we add elements to it.Here getCapacity method gives capacity of ArrayList using reflection api.Here elementData in the getCapcity method is instance variable of java.util.ArrayList classs. ArrayList is an ordered collection .By ordered collection ,it means that when we retrieve elements of ArrayList after inserting elements in it,the order in which elements will be retrieved will be exactly same as the order in which element would have been inserted in it. So we can see from above output that order in which we inserted elements in ArrayList,while retrieving it maintained same order. ArrayList allows duplcate values.Lets see below example. ArrayList allows null values as well.Lets see below below example. 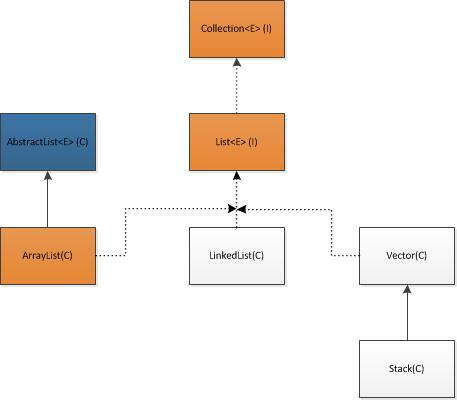 We can use static synchronizedList method of Collections class. Alternatively instead of ArrayList, we can use CopyOnWriteArrayList which is thread safe implementation of List<E> interface. Hope this article was helpful to you guys.Any feedback ,suggestions,questions are most welcome.